Elaine Davis, who makes postpunk-inflected electronic pop as Spaces of Disappearance, didn't set out to start a music festival. Then last year she teamed up with Adele Nicholas, who runs local cassette label Impossible Colors and makes lo-fi pop as Axons, to launch Frontwoman Fest, a celebration of local acts featuring female musicians. The Burlington hosted the daylong concert in February 2015, with a dozen acts running late into the night, including defunct punks Haki, garage rockers Strawberry Jacuzzi, and experimental project TALsounds. Everyone played for free, and the proceeds—a total of $1,350, when all was said and done—went toward Girls Rock! Chicago, a nonprofit empowering young girls through music. 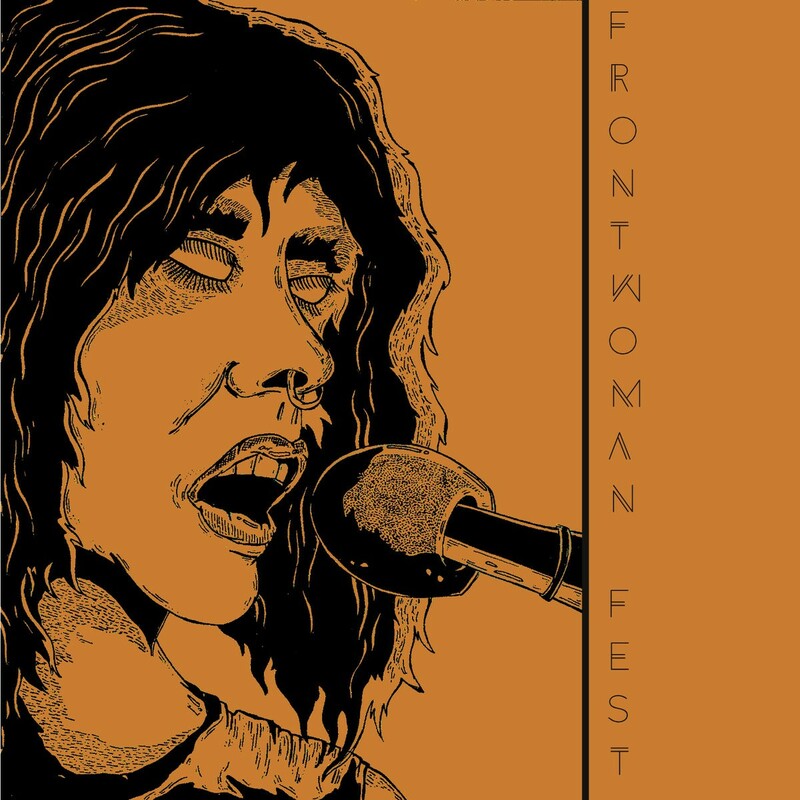 Frontwoman Fest could have ended there and been a success. “Elaine and I weren’t sure we were gonna do it again,” Nicholas says. Five months ago, though, Nicholas and Davis put the wheels in motion for a second Frontwoman Fest, which hits the Burlington on Saturday. Frontwoman Fest began as a song: “Frontwoman,” the fourth track on the 2015 Spaces of Disappearance EP Passionate Electronics. Davis wrote it after reading a Spaces of Disappearance review that assumed the bandleader was the male musician who contributed bass lines, relegating her to the role of singer—despite the fact that she's responsible for nearly every note of her catalog. “Frontwoman” addresses the ongoing issue of women not receiving proper credit for their work. After Frontwoman Fest wrapped up last year, Davis and Nicholas made no immediate plans to organize another one. “I have a really short attention span, so after we were done I was like, ‘OK, that was fun,’” Davis says. “I figured it was done." But not everyone wanted things to stay that way. "People kept asking about it," says Davis. "It just sort of seemed like something we should keep doing.” She and Nicholas wanted to broaden the scope of the festival’s bookings this time, to pull in musicians from scenes they're less familiar with, including metal and hip-hop. “I think the lineup is a little more diverse this year—we’ve added several hip-hop acts,” Davis says. Thirteen of the 15 artists on this year's bill are new to the festival, and searching for unfamiliar artists broadened the bookers’ horizons. “One act I found out about through planning Frontwoman Fest that I didn’t know about before is Fury,” Nicholas says. Otherwise known as Samantha Jordan, Fury makes soulful, positive hip-hop. Jordan joins a lineup that also includes party poppers Celine Neon, ambient artist Lykanthea, and noise-rockers Melkbelly; all four also contributed to the festival’s 12-track mixtape, which Nicholas has released on Impossible Colors and uploaded to Bandcamp. The compilation demonstrates the stylistic breadth of the bookings, which is rare to hear at a single show. “These bands probably wouldn’t end up together on a bill otherwise,” Nicholas says. Nicholas and Davis have also put together a one-off supergroup with Daymaker drummer and vocalist Dina Moore to cover the B-52’s “52 Girls.” Frontwoman Fest starts at 1 PM on Saturday, April 9; tickets are $10. Impulsive Hearts kick off the festivities, followed by Miss Chiff, Fury, Beat Drun Juel, Bloodyhype, Spaces of Disappearance, Axons, Melomaniac, Daymaker, Lykanthea, Azieb Abraha, Yoko & the Oh No’s, KO, Celine Neon, and Melkbelly.